Ronald Reagan created 14 million jobs in a record 70 month stretch of uninterrupted job growth, reduced the annual deficit he inherited by a trillion dollars in six years and nearly tripled the stock market. Believable? Sure, but it’s not true. That was actually Barack Obama. Like most Democratic Presidents, the economy performed much better under him than his Republican predecessor. While comparing one period of time to another or one president to another can be problematic, it’s clear that Democratic Presidents are better for the economy; however, there are certainly caveats. The President generally gets too much credit for economic success and too much blame for failure for much of it has to do with congressional and fed policy. It’s certainly difficult to draw a direct line from a president’s fiscal policy positions to economic cycles. Additionally, sometimes the fiscal policy of a previous administration bleeds into the next one meaning that a recession happening when one president was in office could be the result of the policy of the prior administration. Still, Democratic Presidents have had much better performing economies than their Republican counterparts. 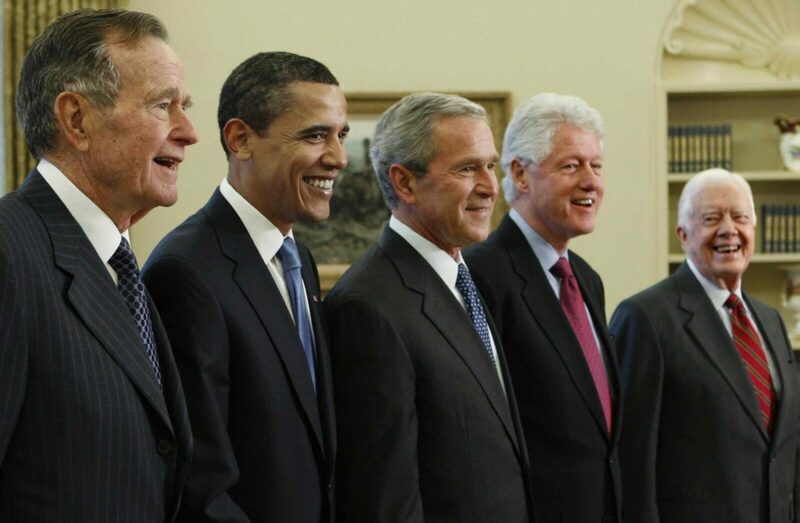 From 1961 to 2012, Republicans held the White House 28 years and Democrats 24 years. In those 52 years, our private economy has produced 66 million private-sector jobs. Republicans created 24 million jobs while Democrats created 42 million jobs. This does not even include government jobs which would make the discrepancy greater, so the fact Democrats finished so far ahead despite taking government jobs off the table makes it a more impressive accomplishment. It’s even more impressive when you consider the U.S. working-age population actually grew slightly faster under Republican presidents meaning Democrats didn’t benefit from population growth. Corporate profits have grown over 16% more per year than under Republican presidents (they actually declined under Republicans by an average of 4.53%/year). Average annual compound return on the stock market has been 18 times greater than under Republican presidents (If you invested $100k for 40 years of Republican administrations you had $126k at the end, if you invested $100k for 40 years of Democrat administrations you had $3.9M at the end). In addition to the last point, we can add that of the 49 quarters in recession since 1947 (post World War II), eight occurred under Democrats, while 41 occurred under Republicans. The U.S. economy not only grows faster, according to real GDP and other measures, during Democratic versus Republican presidencies, it also produces more jobs, lowers the unemployment rate, generates higher corporate profits and investment, and turns in higher stock market returns. Indeed, it outperforms under almost all standard macroeconomic metrics. That will be the finish of this post. Here youll locate some web-sites that we think you will enjoy, just click the hyperlinks.